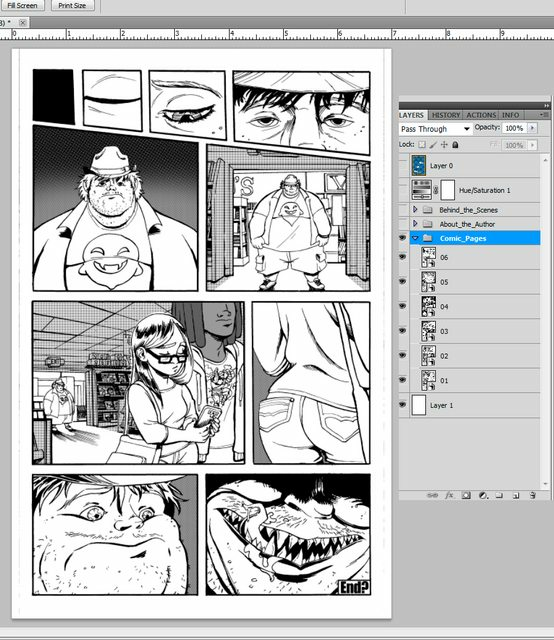 Since there’s no color for the printing, I’m exporting as a Greyscale image and I Rasterize with Quality in mind. 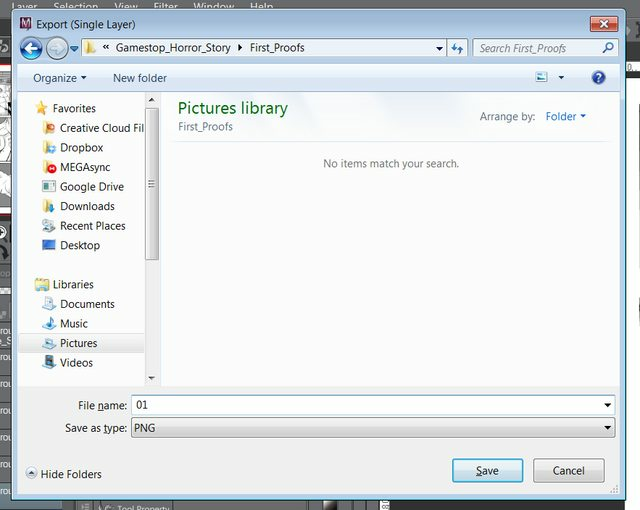 Name the individual image files something in a numbered sequence so it’s in proper page order. 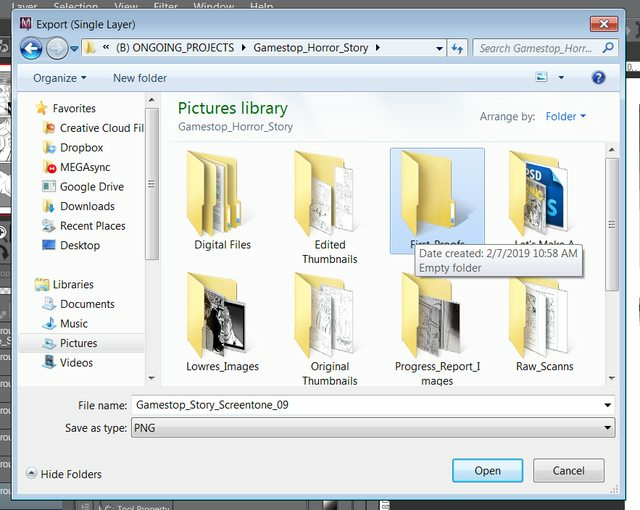 This is my way of handling my file naming, but you can name your stuff whatever you like as long as it’s in your intended order. You can go “1 to 9” or “01 to 09” or even “001 to 010” if you have a high amount of pages. You can make PDF’s in Adobe Bridge but a good freeware alternative is InFranView. There are plenty of alternatives! 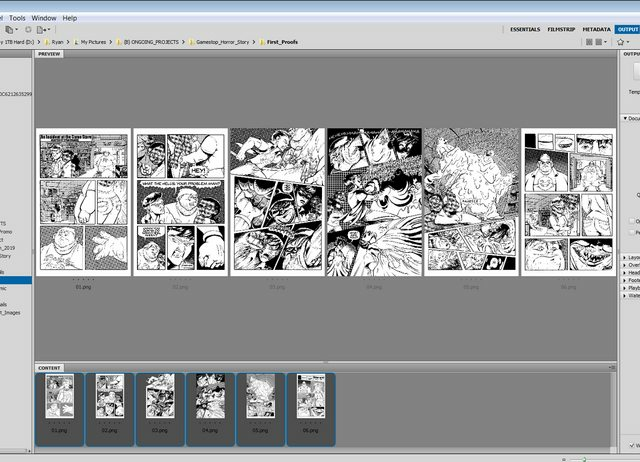 I can drag and drop my image files into Adobe Bridge and all of them are set up to go into a PDF since I named and numbered the files in order. Here’s a tiny reminder to put in a tiny signature or watermark if you’re pouting it online, you never know if it hits big and spreads all over, and this will increase the chances of being credited and coming back to your portfolio website. 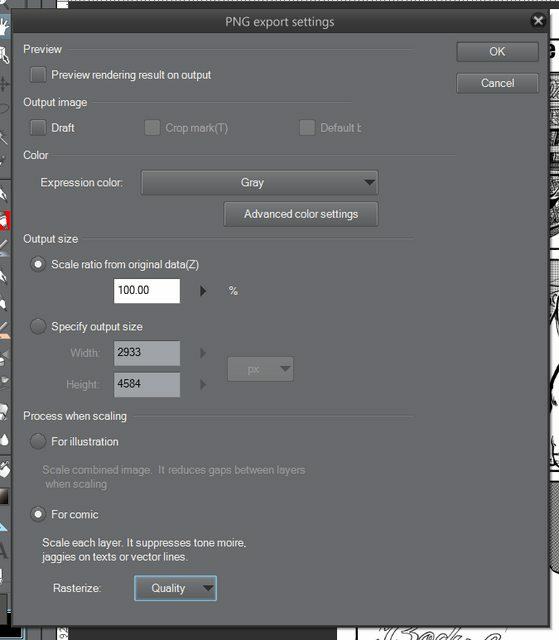 To set up the PDF to output to web and devices to download, I mainly make sure it’s at 1920 pixels wide and 3001 pixels tall at 72dpi to keep the page proportions and keep the file size low. I know Etsy accepts PDFs up to 20mb, but check with wherever you’re uploading to make sure your files are small enough. 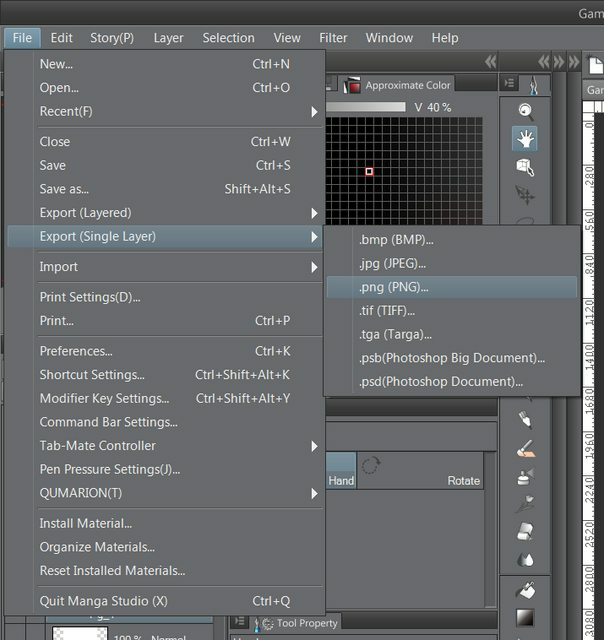 Export with full quality and just leave all the other settings normal. Name the PDF something nice and short so if can be shared around if you so desired. 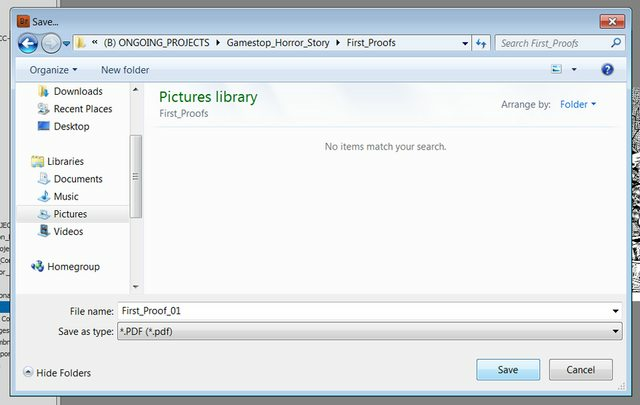 I used Foxit PDF Reader for my PDF Reader to look at PDFs. Make sure you look through the entire page for flaws, typos, bad pixels, stretching and any other mistakes to make sure the PDF is in tip top condition! 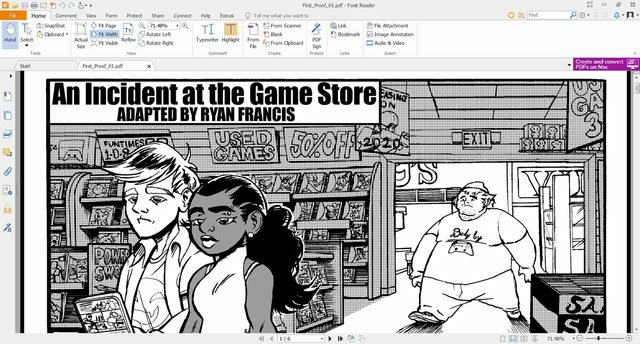 You can pretty much upload and self publish PDFs at most web stores that accept self publishing, Etsy, Comixology, IndyPlanet, DriveThruComics, or even make your own webcomic! If you just want to share it off to the world, you could share it on social media or art site like DeviantArt, ArtStation, or other sites like Imgur, or Reddit. It’s a good idea to first research what you intend to have printed. 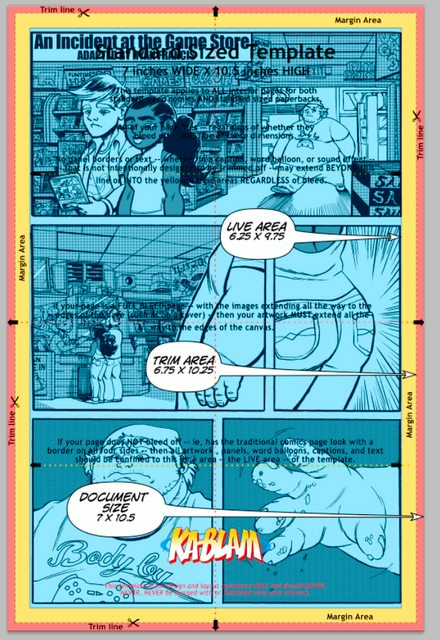 Go to Pricing>Comics on Ka-Blam’s Website to reach their price calculator for printing. Your needs might vary from mine, so make sure you give it a look to plan your costs and budget accordingly. Ka-Blam’s customer service is top to notch, they’ll answer any questions you have and will message you if there are any issues with files or prints. They even print alternate page sizes if you ask them to! Ka-Blam will walk you through the process! After all of that, it’s time to wait for the prints to arrive! Once they show up to your doorstep, you’ll be ready to go out there and sell to whoever you want, wherever you want! Find a local comic convention to vendor at, sell your art at a small local library convention, talk to your local comic shop owner about selling your comic in their shop, leave a few sample issues at your workplace. Spread the conversation as much as you can! Now, I can kick back, relax, play a video game, catch a show, and celebrate that I finished my second ever comic story.